I am so glad the election day is over. Not because of the political posturing back and forth. Although not hearing the bashing will be a good thing. 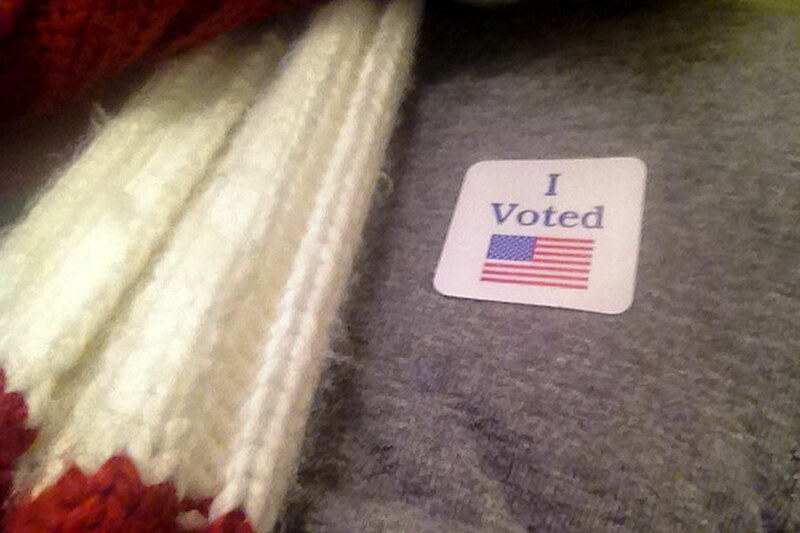 I have voted every time an election was held since I was eighteen. National, state, local, I have cast my vote in each. And this year I have been at my polling place four times since the spring due to local elections as well as the presidential election. I gladly vote whether the candidate I would prefer wins or not. No, the reason I am glad this round of elections is over, as I am every time, is I do not have to worry about the poll workers trying to put one of these blasted “I Voted” stickers on me for at least another two years. I know it really is not a huge deal. It is just a sticker you say. True, but I have my reasons. You can even consider a couple of them quirks. I’m okay with that. 1. I can not stand for a stranger to touch me even if it is just a sticker. It is as bad as being called “hon” by someone. And the poll workers here don’t try to just hand you the sticker so you can put it on yourself. No, THEY want to put it on your shirt. 2. Have you ever forgotten about a sticker that was stuck on your or your child’s clothes and washed it? Ever tried to get that mess out? 3. And since when is it my responsibility to remind people who see me that it’s election day? Are they living under a rock? Don’t they know this? 4. I know stickers are probably fairly inexpensive, but is the cost really worth the reward? So, yes I have issues. What quirks do you have about elections? They just hand you the stickers here in AZ. I’ve never put one on… I usually just wait for about six months when I’m cleaning my truck to throw it out. They try to put the sticker on you? Ew! My polling place just had a couple of baskets. You threw your electronic voting card in one and got a sticker out of the other. Non-confrontational. Sounds like it’s your polling place that’s quirky. They just put the stickers on the machines at mine and you take one IF you want one. My election quirkiness is how reserved I was to take a stance before and now I’ve been more opinionated. Not sure if it has much to do with the election itself or just coincides with my own personal growth, but I didn’t want to take sides while people were so heated back & forth. Even though I did feel strongly about certain issues.